The Scandinavian brand Guts is still relatively unknown. It was founded in 2013 by a group of iGaming professionals who wanted to develop an online casino and sportsbook with the highest gaming quality possible. The bookmaker is operated by a company called MT SecureTrade Ltd and is licensed in Malta. As such it is regulated by the Malta Gaming Authority. In addition, it is licensed in the UK and Curacao. For our Guts review, we will take a closer look at relevant characteristics of the sportsbook, such as the Guts Welcome Offer, the payments methods available, the sports selection and the odds, among others. With the Guts mobile sportsbook you can place bets from your tablet or smartphone without the need to download an app. Sign up and start placing live bets now! 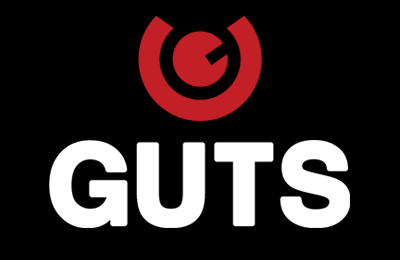 Register at Guts an place bets on more than 30 sports! Guts casino was the first platform launched by the world famous Gaming Innovation Group back in 2013. Due to the quality of the graphics, it soon became very popular and attracted customers. In 2014, the sportsbook platform was released by the Scandinavian company. The head office of the online betting provider is in Malta, where it is also licensed. In addition, the company has obtained a license from the UK Gambling Commission. Similar to the casino operations, a lot of attention is paid to providing punters with outstanding betting markets and great customer service at Guts Sports. According to our Guts review, the sports betting platform is powered by iGamingCloud, providing players with a professional design that has an intuitive interface, as well as being both fun and user-friendly. Residents of the UK, who are first-time bettors at Guts, are offered a welcome bonus that will help them get started: A 10 GBP risk-free bet. This means that Guts will refund your first bet amounting to 10 GBP if you lose. Our Guts review finds that this is a brilliant offer since you can safely start betting without losing any money. In order to qualify for this offer, you simply have to register at Guts and deposit at least 10 GBP into your betting account. Deposits made with Skrill, Skrill 1-Tap, Neteller and Paysafecard do not qualify for this bonus offer. Then you must place a minimum bet of 10 GBP at odds of 4/5 (1.80) or higher. Please note that this must be done as a single bet on any sports markets. If your bet wins, your winnings will be credited to your account. However, if your bet loses, then Guts will credit your account with a 10 GBP sportsbook bonus amount within 72 hours of the settlement of your qualifying bet. Before any withdrawal can be made from your account, you have to wager your bonus amount four (4) times at minimum odds of 4/5 (1.80) or greater. You have 14 days to do this. There is no Guts promo code for this offer. Our Guts review finds this bonus offer to be quite simple. Just follow the instructions here below to ensure that you will obtain the risk-free bet. Step 1 – Registration: At the top right of the Guts website, you will find a red “Sign Up” button. By clicking on it the registration form opens. Fill in the necessary information such as your account and personal details. Step 2 – Making a deposit: Make your first deposit of at least £10. Do not use Skrill, Skrill 1-Tap, Neteller and Paysafecard since they are not eligible payment options for the bonus offer. Step 3 – Fulfil the bonus conditions: Place a single bet of £10 at odds of 4/5 (1.80) on any sport. If your bet loses, Guts will refund the £10 as a bonus amount within 72 hours of the settlement of the qualifying bet. Step 4 – Use the free bet: Wager your bonus amount (£10) four (4) times as a single bet on any sport at odds of 4/5 (1.80). You have 14 days to do so. Once this is settled, you will be able to withdraw funds from your betting account. In addition to the welcome offer, our Guts review found at least two more standard offers for existing customers. One of them is called “Cash Out”. Punters can cash out on bets on any in-play markets (football, basketball, tennis and ice-hockey) before the game ends by hitting the Cash Out button. Another Guts offer is the “US Sports Special”. This is a bonus back offer. When you place a single bet of £10 or more on any NFL, NBA & NHL match and your bet does not win, Guts will credit your account with £10 Sportsbook bonus. This bonus must then be rolled over four times at odds of at least 4/5 (1.80). The sports portfolio at Guts is a classical distribution of sports bets. This means that although there are around 25 different sports offered, the focus is on football. The betting options for this sport can go as high as 50,000 different bets, whereas you will find only 2,000 bets on other sports such as ice hockey. This number goes down to three digits when it comes to tennis, baseball and rugby. Fringe sports such as darts or table tennis are equipped with a dozen bets or so. Our Guts review finds that there could be a better mix and variety of bets, so more breadth and depth. In the live-betting area, the markets offered are dominated by football once again. Numerous live bets are available for this sport. In addition, you can regularly find ice hockey, tennis, basketball, handball, futsal and others as part of the live betting markets. Although Guts does not offer live-streaming at the moment, you can still see “live” animation that keeps you updated during the match. Regarding the odds key, or how much punters keep in their pockets, Guts is above average when it comes to basketball. Pre-match odds are around 93% for football but 95% for basketball. The live betting odds are quite good for tennis with about 92.5%. Nevertheless, the calculated odds never go below 90%, so the bookmaker has a solid base in this area. The sportsbook has only been on the market since 2014, so long-term analyses are not really available. Being a “new” sportsbook on the market is not always an easy feat. In the case of this bookmaker, our Guts review found that this bookmaker does not fare that badly. Some of the highlights of the online betting provider are the stable odds and the attractive live-betting area. Live-streaming is still missing though. Furthermore, Guts charges some fees for deposits and withdrawals, and hopefully, this will change in the future. The customer service is competent, yet more options should be offered even to non-registered users. The sports selection focuses mainly on football, but this is good for punters who prefer this sport due to the large variety of betting markets. The Guts bonus for newcomers might not be the most generous one, but it is a risk-free bet so ideal for punters with less experience. All in all, Guts is a sportsbook that can be recommended, especially since it is a serious online betting provider. According to our Guts review, the bookmaker offers the most common deposit methods. Even though PayPal is absent from the list of payment methods, you can still make a deposit using other e-wallets such as Skrill and Neteller, or the prepaid card Paysafecard. These methods are free of charge. Credit or debit cards (VISA, MasterCard) can also be used, although Guts charges a 2.5% fee here. In most cases, your funds are available immediately. The traditional bank transfer is also possible, but the process time might be longer. In general, the minimum deposit amount is 10 GBP. Step 1 – Go to the banking section of your account: First login to your Guts account first and click on “Deposit”. Step 2 – Select the desired payment method: Go to the payment menu and select a payment method. Enter the amount (min. 10 GBP). Step 3 – Transact: Confirm the transaction and your funds should be available immediately in most cases. Using the same option for payouts as for deposits is the smart thing to do and often required by most bookmakers according to our Guts review. This is due to regulations imposed on online betting providers to avoid money laundering and fraud. The withdrawal options at Guts are the same as the deposit options. Here though, fees are charged for all options, either 2.5% or £2.50. The minimum amount that can be withdrawn is £20. Processing time varies from 24 hours to 3 days, depending on the chosen payment option. Contacting the customer service could not be any easier at Guts: Simply click on the black tab at the bottom right of the screen at any moment to activate the live chat. If the support team is too busy, then you can leave a message in the contact form with your e-mail or simply send a message directly to support@guts.com. During our Guts review, we were unable to find any telephone number on the website to contact the bookmaker directly, even though it is mentioned in the “About us” section. This information is restricted to registered users, which is a disappointment since punters usually have questions before signing up. Most sportsbooks use social media as a means for promotion and to provide information about matches and odds. Guts is also present on Twitter (@GutsGaming) and Facebook. During our Guts review though, we noticed that there have not been any recent tweets nor publications on either platform for some time now. The number of followers is quite low as well. Reliable or scam: How safe is Guts? As mentioned earlier in this Guts review, the sportsbook is operated by MT SecureTrade Ltd which is based in Malta. This European country is considered to be very strict when it comes to granting online gambling licenses. As such, this is a sign that Guts is serious. Furthermore, the bookmaker is also licensed in the UK, so punters in Great Britain can rest assured. When you scroll down the Guts homepage, you will find a number of seals and awards that all speak in favour of the respectability of the sportsbook. One of them is the SSL seal ensuring that your sensitive data is safely encrypted. In addition, the bookmaker collaborates with organisations such as GamCare, GamblingTherapy and Gamblers Anonymous, further indications that Guts is committed to responsible gambling. How can I register at Guts? Registering at Guts is quite simple and quickly done. Click on the “Sign Up” button at the top right and fill in the fields of the registration form. You will receive an e-mail with an activation link to verify your e-mail address. Simply click on it and your account will be activated. What is the Guts Loyalty Squad? The Loyalty Squad at Guts is an exclusive club for registered members. Advantages of joining this club are special offers and promotions as well as a VIP customer service manager and a special welcome bonus. In addition, you receive a birthday gift bonus and tickets to events. Is there a Guts App? Yes and no. In reality, there is no need to download a Guts app onto your smartphone. You can get instant access to the sportsbook by simply calling up the Guts website on your mobile phone or tablet. The mobile browser automatically adapts to your device, whether Android, iOS or Windows. Why does Guts need to verify my identity? No, you can’t. PayPal is not among the payment options at Guts. However, other e-wallets such as Skrill and Neteller are available, as well as debit and credit cards.